I wandered through college with a guilt complex. Like many naïve students, inspired by a voting voice and new knowledge, I embraced the world’s problems as my own, determined to improve things somehow, even as I failed in family relationships and winced at dateless Saturday nights. Looking back, it was a crazed mental time, when a skipped meal, prayed over, transported magically to a starving child; when vegetarianism meant one less chicken in the over-crowded coop; and when five spare dollars in my checking account meant more money that Sunday in the offering plate. I saw need everywhere, a vision I gradually narrowed, or at least focused, lest I went crazy. Although some of us remain protesters and activists as we age, most concentrate at some point on peace within our own home as opposed to peace on earth. Despite this age-accompanying cynicism, I still believe that one person’s actions make a difference, and that even a small difference counts. Children see the world with broad vision. They love and give without worrying about perception. 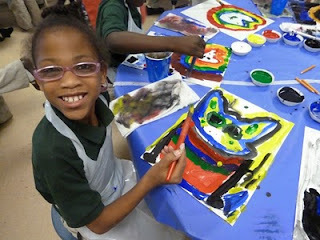 “We’re all artists, Ms. Wendy,” explained a young girl recently, as I complimented her on her painting. I was a sophomore at Trinity University in San Antonio, Texas when I met Gladys at the H.E.B. She struggled with her cane and over-sized handbag as she loaded her groceries into the trunk of a cab while the driver sat helpless, rolling his eyes with impatience. 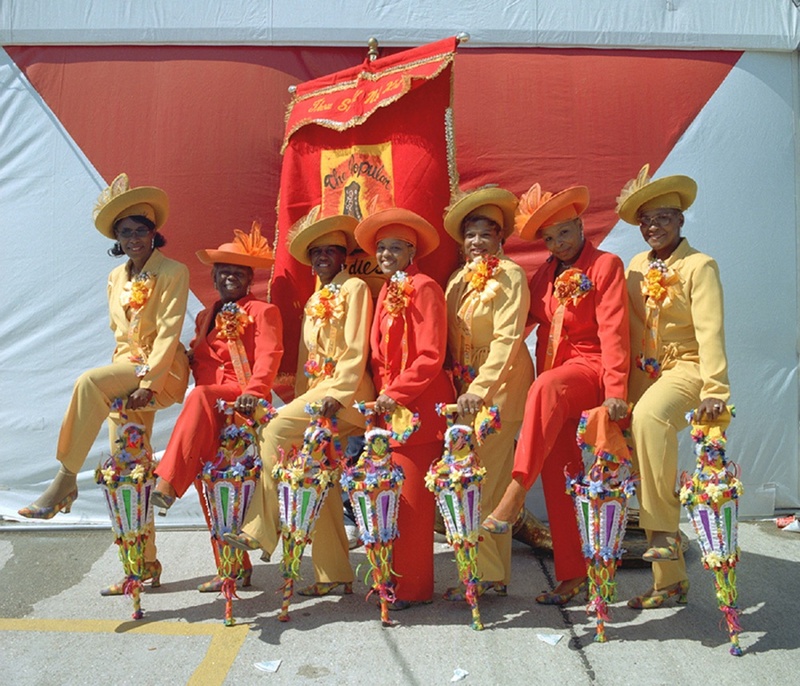 ...she replied, referring to the old and, were this New Orleans, ‘uptown’ nearby neighborhood. She trusted me, and I gave her a ride to a Tudor-style house, classic and cracking on the outside, decaying and 1950s within. 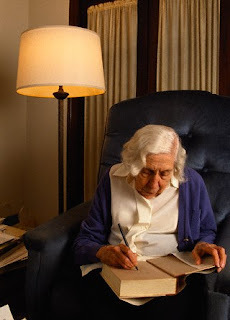 I recognized the old-lady smell, the one that comes from piles of junk mail and dusty lace tablecloths, from floral hand cream and moldy wallpaper, from warmed leftovers and stale coffee. Except for a tic-toc, the house was deadly quiet, as though no one disturbed its air with laughter or speech in years. Gladys looked like Miss Havisham, and her home, although not quite Satis House, sat neglected and lonely. We made a date. That Friday, I fetched Gladys for lunch. She wore her vintage Sunday best to the Mexican cantina (paid for with an advance from my job at the school auditorium) and afterwards served me tea from her floral Windsor china, as we made small talk on a plastic-covered faded blue sofa. Tell me about your husband. What is the name of this china pattern? Shall I refill your tea? We repeated this visit every Friday for more than a year, eventually expanding our afternoons to include museums, the Alamo, and Olmos Pharmacy (for chocolate malts). Along with my peer tutor class, we decorated a Christmas tree, her first in many years. Holiday music filled the house from a student’s boom box. In January of my junior year, I joined a study-abroad program in Vienna, Austria. Gladys protested, but I left her anyway, and two months later she died. The following year I returned from Europe, changed but still -- perhaps more -- guilty. 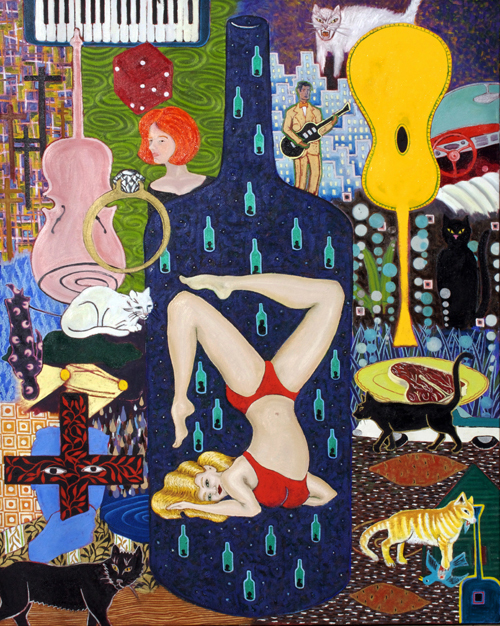 The modern world seemed incongruous with my intense journey through Art History. Without Gladys, I sought diversions. I volunteered at the local A.I.D.S. clinic. One by one, scared young men (because honestly – they were all scared young men) dropped in for testing. Within weeks I answered the A.I.D.S. suicide hotline, forwarded to my college apartment’s phone on Monday nights. I was an unqualified, healthy, heterosexual twenty-one year old girl. But it was the 1980s, and young gay men died faster than counselors were trained. People feared the infection, and volunteers were scarce. My mother worried, correctly and on several levels, that I didn’t know what I was doing. But this was my protest, my creed, and in my mind, I had no choice. We all remember when we were young and set out to change the world. Maybe you held a picket sign, chained yourself to a tree, or delivered Meals on Wheels. Maybe you still look at the world in this way, out to make a difference. My sister and I learned this vision from our mother. Despite barely covering the weekend’s hot checks with Monday’s paycheck, she sent money every month, along with our letters, to Ernik Tukiman in Indonesia, a child matched to our family by World Vision. 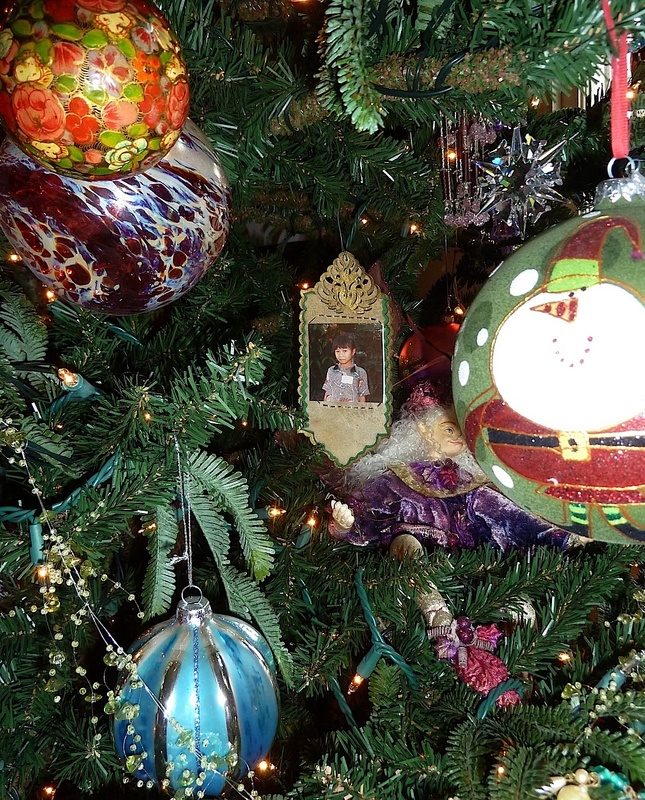 (Thirty-five years later, Ernik’s photograph still hangs on our Christmas tree). 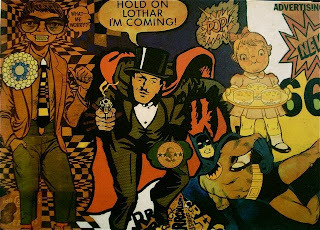 His focus paid off, and he fulfilled that dream and more, supporting his family with his art by his mid-twenties. George’s generosity of time and money kicked in later, first in small ways in his Lafayette community, and later with large-scale projects for the Boy Scouts of America, the University of Louisiana at Lafayette, the Red Cross following 9/11, the International Child Art Foundation, humanitarian and arts-related relief following Hurricane Katrina, and countless small-town projects involving festival posters, student lectures and more. 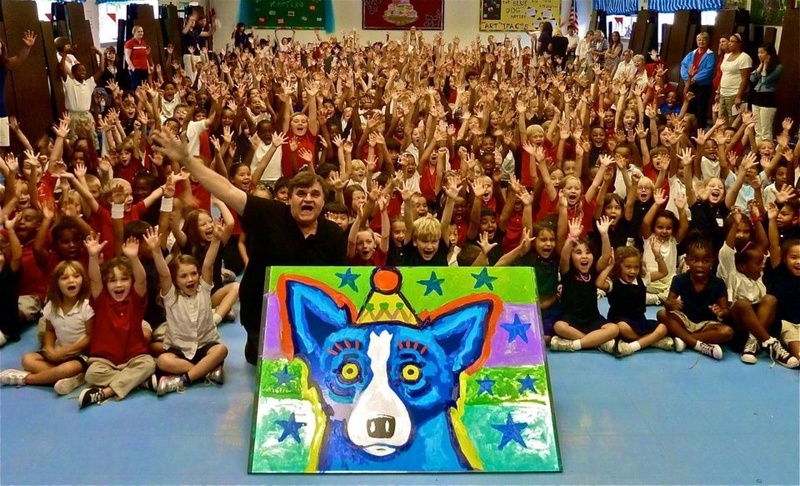 Today, through the George Rodrigue Foundation of the Arts (GRFA), these efforts are near full-time, with programs devoted to the arts and education. At one point, we all realize that the joy of giving cannot match the weight of need. Even through GRFA, it is impossible for George to reach every school, anymore than I could befriend every lonely old lady, or my mother feed every child. But does it mean we shouldn’t try? Note: Based on an essay scheduled for publication in an upcoming book* celebrating Louisiana’s bicentennial, published in April 2012 by the Louisiana Endowment for the Humanities, this blog version includes added images, as well as links throughout, referring you to specific relevant posts and websites. 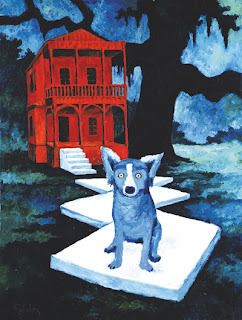 Born and raised in New Iberia, Louisiana, George Rodrigue (b. 1944) determined his future in art while sick with polio as a child. His mother brought him paint-by-numbers, a 1950s invention, to ease his boredom. Eight year-old Rodrigue used the paints and canvases, however, to paint not the suggested country lanes and Last Suppers, but rather fire trucks, monsters, and alligators. 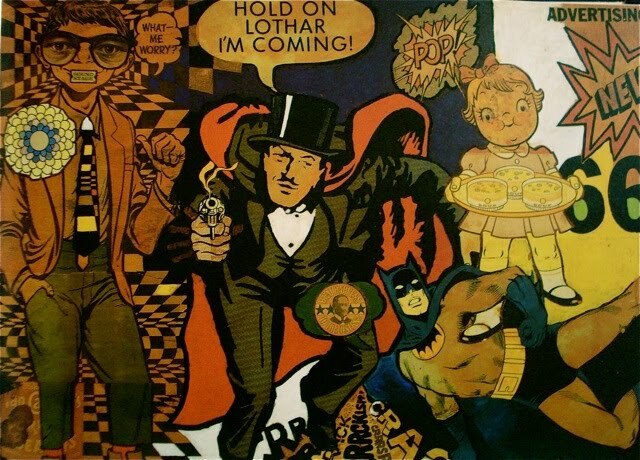 Following a full recovery, he set his course on art and never wavered. Seeking a formal art education, Rodrigue enrolled in 1962 at the University of Southwest Louisiana (now the University of Louisiana at Lafayette), where he studied Abstract Expressionism. It was his project for Professor Calvin Harlan’s design class that proved most useful when he applied to art school. His design book secured his acceptance to the prestigious Art Center College of Design (then located in Los Angeles; now in Pasadena), where Rodrigue studied not only the fundamentals of art such as figure drawing, but also graphic design, illustration, automotive design, and photography. Most important, at Art Center Rodrigue studied for the first time with working artists, significantly Lorser Feitelson, the master of Hard Edge Painting. 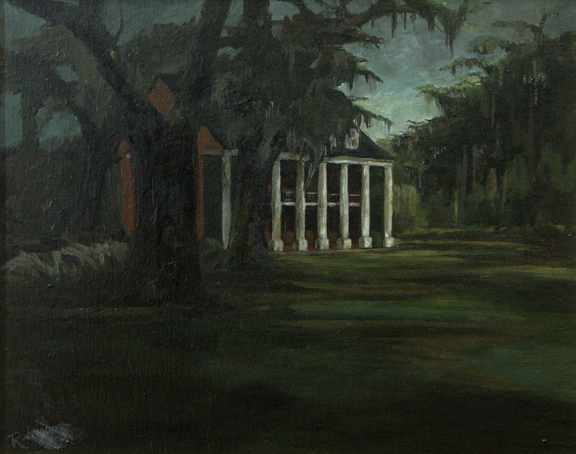 In 1974 Rodrigue won an Honorable Mention for his painting The Class of Marie Courrege at the historic Le Salon des Artistes in Paris, prompting a review from the French newspaper, Le Figaro, which dubbed him “America’s Rousseau.” And in 1976 he wrote the first national publication on the Cajun culture, The Cajuns of George Rodrigue (Oxmoor House). The National Endowment for the Arts gifted the book to Rosalind Carter, who chose it as an official White House Gift of State during the Carter Administration. The artist invented a red-eyed, frightening image loosely based on photographs of his deceased studio dog, Tiffany. 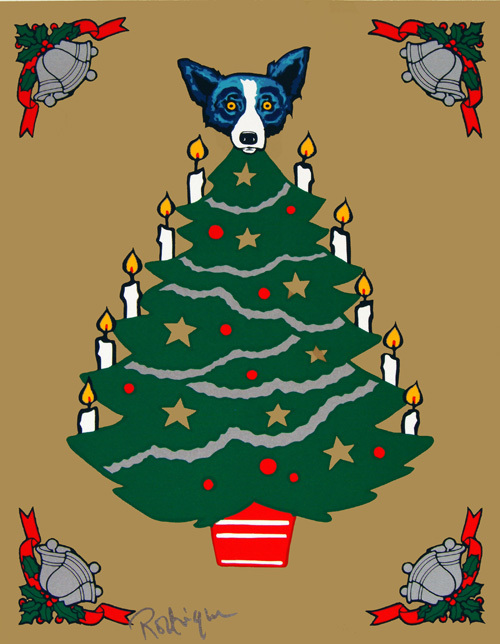 He painted the loup-garou at night under a blue-moon sky, casting a blue-grey shade on the dog’s fur. Over the following ten years, the loup-garou developed into the iconic Blue Dog, an image that catapulted Rodrigue’s fame worldwide. 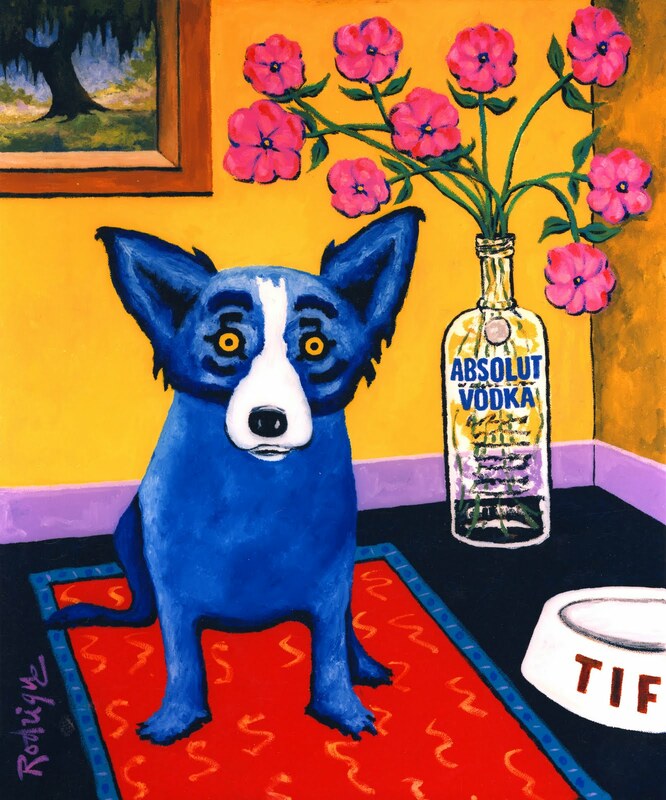 In 1992 the Wall Street Journal featured Rodrigue and his Blue Dog with an article on its front page, and in 1993 he joined artists such as Andy Warhol and Keith Haring in creating art for the international Absolut Art campaign. 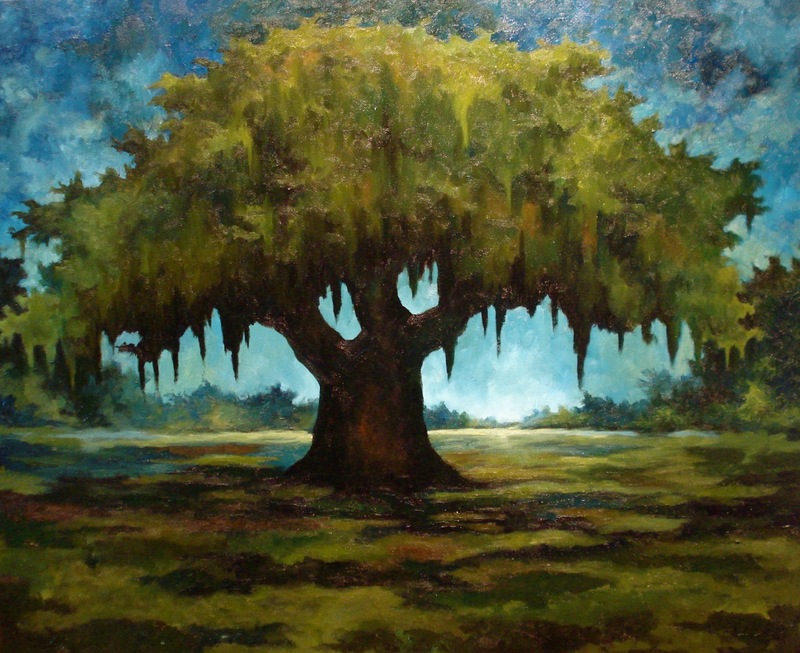 In addition to numerous group shows, Rodrigue’s museum presence includes solo exhibitions in New Orleans, Atlanta, Chicago, Memphis, and Pensacola. 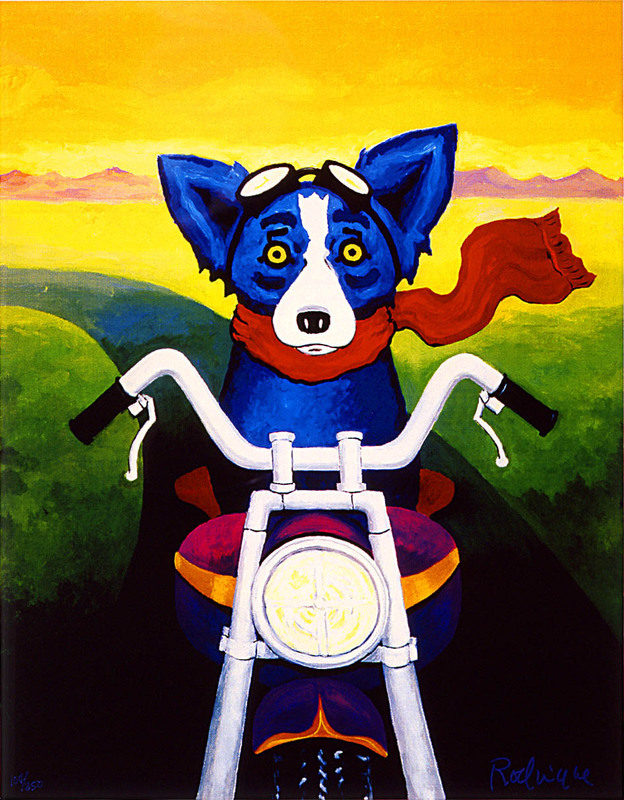 In 2012 the Amarillo Museum of Art hosts a blockbuster Rodrigue exhibition, followed by Pennsylvania’s Susquehanna Art Museum and the National Steinbeck Center (Salinas, California) in 2013. Following more than $3 million raised for humanitarian and arts organizations in the wake of September 11th, 2001 and Hurricane Katrina in 2005, Rodrigue established in 2009 the George Rodrigue Foundation of the Arts, encouraging the use of art within all school curriculums and funding scholarships, classroom art supplies, and a variety of art educational programs. 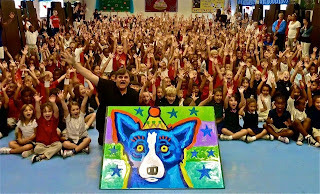 In 2006 Rodrigue received the Lifetime Achievement Arts Award from the State of Louisiana Governor’s Office, soon after appointed the state’s official Artist Laureate; and in 2009 the University of Louisiana at Lafayette presented him with an Honorary Doctorate of Fine Arts. 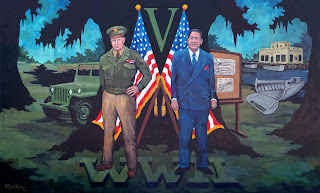 In 2011 the Center for Louisiana Studies awarded him with the James William Rivers Prize, established “to honor persons who have contributed or rendered, recently or over the course of their careers, outstanding scholarly study, work, or teaching about the culture, history, ….and art of Louisiana or about its people.” Also in 2011 the National Boy Scouts of America presented the artist with their highest honor, the Distinguished Eagle Award. 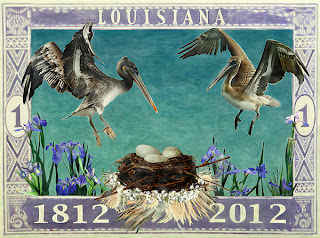 Note: Throughout this post I sprinkled images by Louisiana artists. 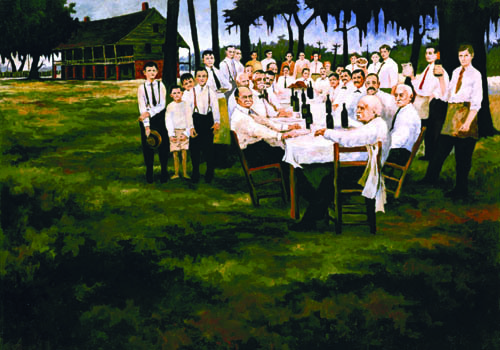 Some I interviewed and some not, but all are included in the book The Bicentennial History of Art in Louisiana. * As I wrote, I thought of the text and images as two separate statements, not necessarily related. In other words, unless specifically noted, all artist statements, whether quoted or in general, are anonymous. Recently I interviewed artists and photographers for essays within an upcoming book* featuring two hundred years of art in Louisiana. 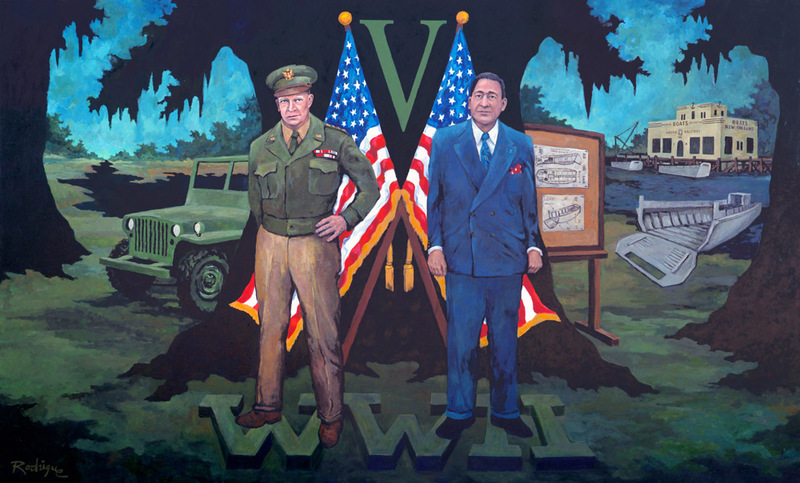 Although my participation is minor within this ambitious project published by the Louisiana Endowment for the Humanities, I take this assignment seriously, and I feel responsible for small slices of each legacy. If you ask most non-artists, the artist’s life is an envied one, provided there's food on the table. People often equate the creation of art with leisure, as though meeting a deadline and pleasing a boss (or agent) doesn’t count if one uses talent and personal expression to get there. 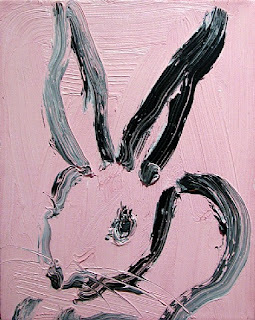 What’s more, people often judge artists based on their ability to hold out in the name of art, to resist commercialization, mass production and, in this contemporary world of video and conceptual art, traditional mediums such as modeled clay and paint on canvas. In between his words, I heard his fear as well. 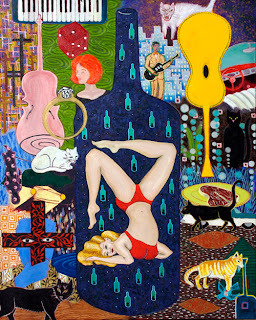 I paint a picture over a few days and sell it for $5,000, half of which goes to my agent. After months of work, I’ll have a video that no one will buy. Artists have bills to pay like everybody else. They also have egos and families and goals. They walk a line between pleasing themselves (the popular mantra) and pleasing the public (the unpopular one). They enjoy public recognition and making money, but they aren’t supposed to admit it. (“I don’t go after that sort of thing,” replied one artist when I asked her about awards, honors and museum exhibitions). I heard artists explain away commissioned portraits, wedding photography, and product design, all with carefully worded and practiced lingo in an effort to dissolve my tiresome (and tacky – after all, I should know better) question, along with the age-old stereotypes. Consistently I heard overlapping stories – the same frustrations regarding exhibition deadlines, out-of-date websites, and limited studio and/or gallery space. Nearly everyone mentioned the problems of offering something affordable to the public without compromising their artistic integrity. I was surprised and somewhat relieved to learn of other similarities as well, namely the widespread and accepted computer use, along with a steady interest in printmaking as an art form. A few artists mentioned the convenience of the computer and the affordability of the prints, but nearly everyone talked of the computer as a tool, as a way to improve and edit their photographs, design compositions for their paintings or prints, and experiment with end-results before picking up their paintbrush. In addition, nearly everyone within the arts overlaps in their interests, creating a strange inability to define work versus hobby. Painters take photographs; photographers play music; sculptors make movies; and so forth. I noted also the solitude of these telephone interviews. In each case, the artist sat within their studio, putting down the brush or camera to answer my questions. I knew as we spoke that I interrupted their work, their creative train of thought, and I wondered if, in doing so, I inadvertently altered their next stroke. But then I thought of George at his easel, whether quiet and in the middle of the night (as he prefers), or chaotic with interruptions in the afternoon (as he expects). Either way, he moves in his own purposeful direction, influenced by life and people, but not by trends or the ideas of others. Is it work? I guess that depends on how one defines work. If you’re one of the lucky few, you make money by doing that thing you enjoy the most, whether tending bar, running a computer company, or creating art. This isn’t the sort of thing one eyes with retirement* in mind. George would say that it’s not working; rather, it’s living.